We, Darshan Heat Electricals (DHE) are the leading Industry manufacturer, supplier and exporters of a wide range of Coil Heaters, Micro Tubular Heaters, Hot Runner Heaters, High-watt density cartridge Heaters, Manifold Heaters etc. We offer optimum quality products that pass through stringent quality parameters at every stage of their production to meet international quality standards. The exclusive range of products offered by us include Tubular Heater, Manifold Heaters, Micro Coil Heater, Cast-In Brass Coil Heater, High Watt Density Cartridge Heater, High Performance Nozzle Heaters, Immersion Heaters, Ceramic Band Heaters, Mica Band Heaters, Strip Heater, Coil Heaters, Cast Aluminium Heater . 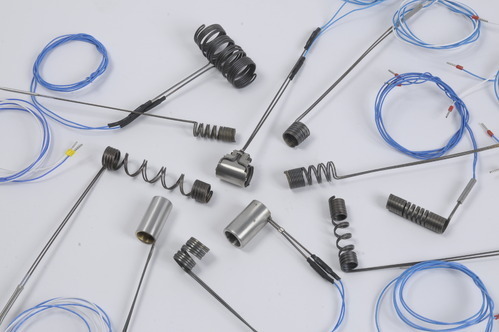 Widely acknowledged for their high temperature resistance, durability, easy operation, high quality, and good finishing, these products are in great demand in the competitive market.